In class one of Mastering the Art of Relationship, we talked about how to achieve peace in the world, beginning with our relationship to our self and Hashem. We discussed the main thing we need to do to develop a relationship and get to know someone (and have them know us). That is: talking to them and listening to them. Verbal interaction (including written/sign language too) is the core of any relationship and that includes the relationship we have with Hashem. In order to have a sincere relationship with Hashem, therefore, we have to talk to Him. This is the most important relationship we have. Sometimes we feel alone when other people aren’t around (and sometimes even if they are), but if we begin to build a relationship with Hashem we do not feel alone. We gain an awareness that our Creator, our King, and our Father is always there with us, in our thoughts, in our hearts, as we go about our day. Rebbe Nachman of Breslov emphasizes the primacy of hisbodedus, which is speaking to God in your own words. In order to have honest, authentic dialogue with Hashem, we must speak from the heart. A certain king sent his son far away to study. The son eventually returned to the king’s palace fully versed in all the arts and sciences. One day the king told his son to take a particular stone that was as big as a millstone and bring it up to the top floor of the palace. But the stone was so heavy that the prince could not even lift it up. He was very upset that he could not fulfill his father’s wish. In the same way, God commands us to “lift our heart with our hands up to God in the heavens” (Lamentations 3:41 ) . 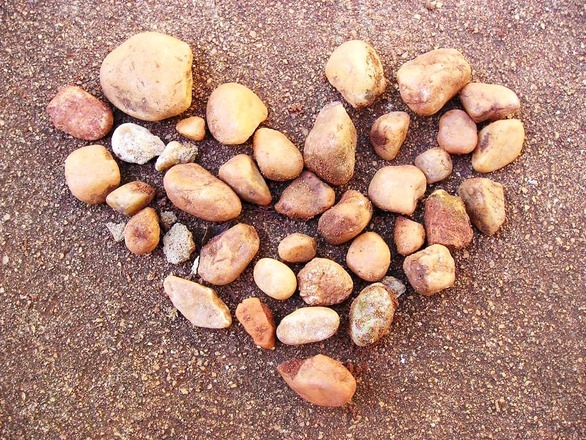 Our heart is a “heart of stone” (Ezekiel 36:26) , a very heavy stone. There is no possible way to raise it to God except by taking a hammer and breaking and smashing the heart of stone. It can be a real challenge to open up our stony hearts and talk honestly to Hashem. But he power of our speech*, our talking to Hashem, is a hammer that can break up our stony heart. Little by little, we chip away at the stone so we can talk with heartfelt feeling, with emotion, with truth. Our first step towards a healing, lasting, and rewarding relationship. Hashem loves you and wants to have a relationship with you. You are unique, your existence is His idea, He is waiting for you to learn the art of relationship starting with your relationship with Him. Happy Belated Birthday Dara B.! Sign up for a free Breslov course, Mastering the Art of Relationship, at BreslovCampus.org. *There is a special emphasis the Rebbe places on speaking vs. writing, reading, and so on. There is a direct channel between the heart and the lips and voice. We just have to locate it and use it.